I left Montsalvat, for the night, at late dusk yesterday. 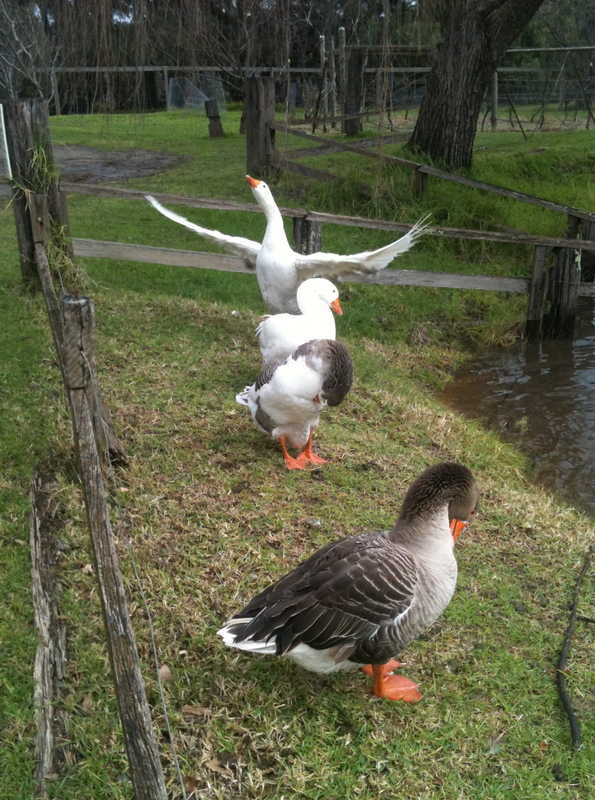 As I passed the upper pond, parallel to the drive, a line of at least six geese were standing at attention. It felt almost proper to salute them each in turn. 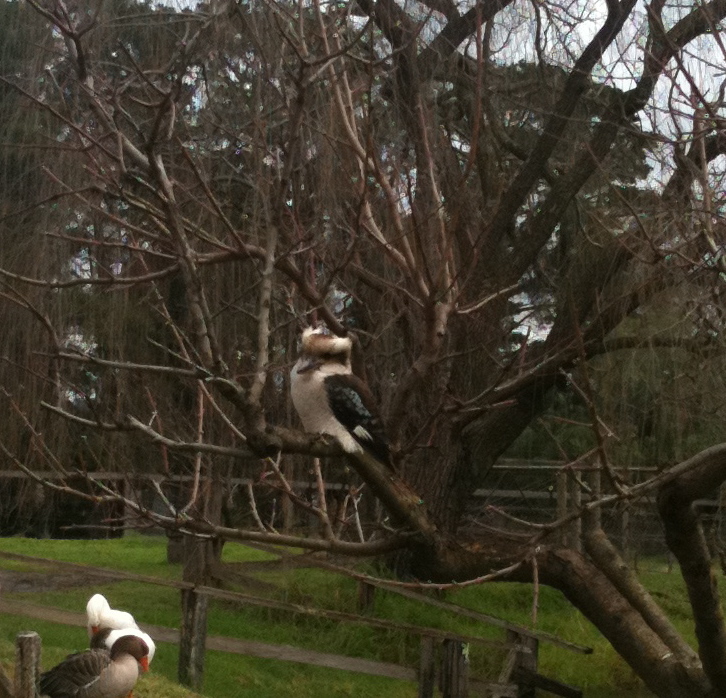 The Kookaburras, however, have little respect for me – their gurgling laugh taunts me as I sit in my tower wrestling over a sentence or finding factual evidence – I swear I only read yesterday. And the peacock has deserted the post at the bottom of my steps. I miss the kohl eye. As a writing friend of mine shared on the phone the other night when you are struggling to find the correct structure for your work it is as if you are in a “nebulous fog”. She’s right and deep within the fog I am. My subject is strong; his voice very present in my mind; the evolution of his philosophical positioning; his art, in its various forms and his spiritual self are palpable – his historical times are not as clear but nor are they obstructing my view of the form of the biography. I am currently critically reading or dissecting multiple biographies in search of a structure to bring Miller productively into the present: ‘The Heart Garden’, ‘Australian Gothic’ both by Janine Burke; ‘love, life, Goethe’, John Armstrong; ‘the boyds’, ‘martin boyd’, ‘Life Class’, all by Brenda Niall; ‘Ian Fairweather’, Murray Bail. All are incredibly well written and show a depth of historical knowledge essential for subjects to be understood. Historical times need to be drawn well, the reader needs to understand what it was to be the artist (person) in a very particular moment in time. Our cultural ‘place’ is what we work within, react against, respond to, and it provides the ‘heart garden’ for our sense of self. Whilst Miller was considered a recluse he responded to his external environment through his art and his letters. So how do I shape his world through biography? The basics of what Jim Davidson described as the problematic first chapter – ‘the early years’ – can be derived from Archives New Zealand and Births, Deaths and Marriages New Zealand. However I have only a smattering of knowledge about Miller’s New Zealand at the turn of the century, 1893-1918. Enough to have a play with words, as can be seen below, but not enough to really take a reader into the streets, the homes, the schools. So today I reached out to the Hawera Library service. A reply was immediate and yes, they would look into the five items I sent them and get back to me later this week. I have my fingers crossed that someone like Ruth Park wrote about Miller’s formative New Zealand towns: Patea (1894-95), Hawera (1895-1901), Palmerston North (1901-1908), Dunedin (1908-1918). Identifying the fog in which my head was swimming has actually been helpful because fog lifts and the solid world is revealed once again. The story could be said to have begun with a cone shaped Mountain, but that would only be metaphorically true. 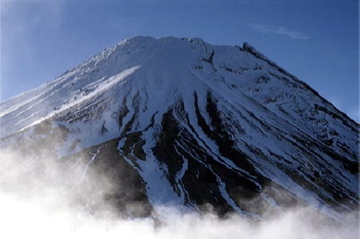 In later years Miller relayed the formative importance of Mt Egmont (Mt Taranaki) to John Henshaw. [i] A dominating volcanic form leaving a lasting impression on the horizon of Miller’s infant mind. It all began with his birth and through thoughts and images has no end. New Zealand was a country itself in the process of birthing when Miller arrives into the world. The structures of the Pãkehã presence are just beginning to develop with telegraph communication and transport lines spreading across the land. Blood remains on the ground from the Taranaki Wars of the 1860’s. Tensions have lessened, after brutal decades, with the first Maori parliament meeting in 1892. A month after Miller is born, September 1893, women are given the right to vote with New Zealand becoming the first country to award universal suffrage. Progressive thinking is mapped on the ground of a country itself sitting conservatively and in isolation from the rest of the globe. Thus Miller is born into a time and place of new and ancient ideas intermingling. In part like the Taranaki region, Miller will face: bloodshed through war (WWI, Gallipoli), self imposed isolation, the challenges of putting forward progressive and intuitive ideas, the exploration of form in the development of a personal philosophy and in the evolution of his art. He will become a significant art teacher in Sydney, but also a quiet soul sitting in on life drawing classes, in a corner, amassing sketches secreted into his Globite suitcase[ii]. There is a point in reading his life where you are forgiven for thinking that you are trying to notate a life which is itself an abstract form, an energy of line revealing movement and an essence of true being. Yet, his life yields few intimate materialistic pieces of evidence that provide sign posts for a biographer. This is the way I think he would have liked it. A man, a mystery, a truth to be discovered. [i] John Henshaw., ‘Godfrey Miller – A Life’, in Godfrey Miller 1893-1964 , Deborah Edwards. Exhibition catalogue, The Art gallery of NSW, 1996. [ii] Nick Waterlow & Jennifer Hardy, ‘Miller & Post-war Sydney’ catalogue. The University of New South Wales for Ivan Dougherty Gallery. This entry was posted in Montsalvat and tagged Biography, Godfrey Miller, Hawera, Mt Egmont, Taranaki. Bookmark the permalink.